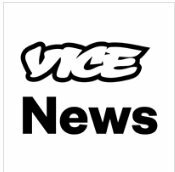 News TV Channel / Vice News is Vice Media, Inc.'s current affairs channel, producing daily documentary essays and video through its website and YouTube channel. It promotes itself on its coverage of "under-reported stories". Vice News was created in December 2013 and is based in New York City, though it has bureaus worldwide. Before Vice News was founded, Vice published news documentaries and news reports from around the world through its YouTube channel alongside other programs. Vice had reported on events such as crime in Venezuela, the Israeli-Palestinian conflict, protests in Turkey, the North Korean regime, and the Syrian Civil War through their own YouTube channel and website. After the creation of Vice News as a separate division, its reporting greatly increased with worldwide coverage starting immediately with videos published on YouTube and articles on its website daily.